About a year ago, L'Oreal released the Colour Riche eyeshadow singles that took the drugstore by storm. Like the Milani Bella Eyes Gel Powders, this new eyeshadow formula was a definite improvement upon previous formulas and provided stiff competition for all the other drugstore brands on the market. 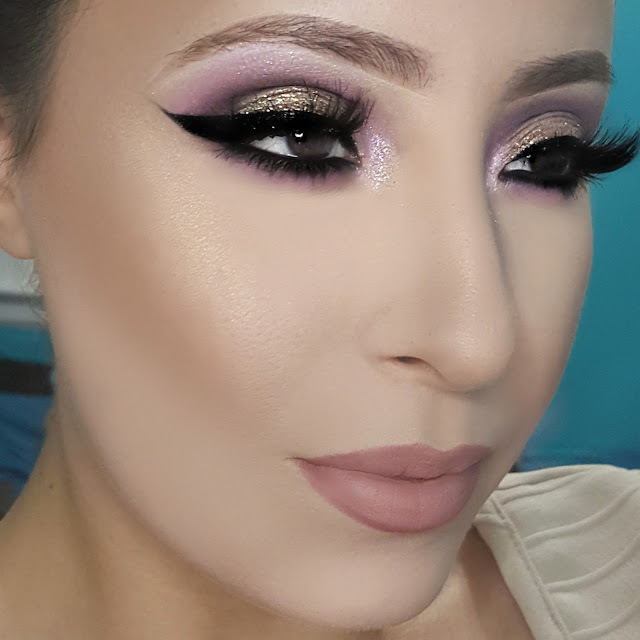 Fast forward to a couple months ago, however, customers were finding the new Colour Riche Pocket Palettes a huge disappointment as they seemed to stray far from the formula they new and loved. They felt the shadows in the palettes were not pigmented, didn't blend well, and overall performed horribly. I, on the otherhand, have had a much different experience with the L'Oreal Colour Riche Pocket Palettes and actually find them quite lovely. The L'Oreal Colour Riche Pocket Palettes are quads of eyeshadow containing both matte and shimmery shades. There are a nice variety of colorways (eight in total) from everyday neutrals to brights and smokey. The palettes can be found at drugstores and retail for $9.99. 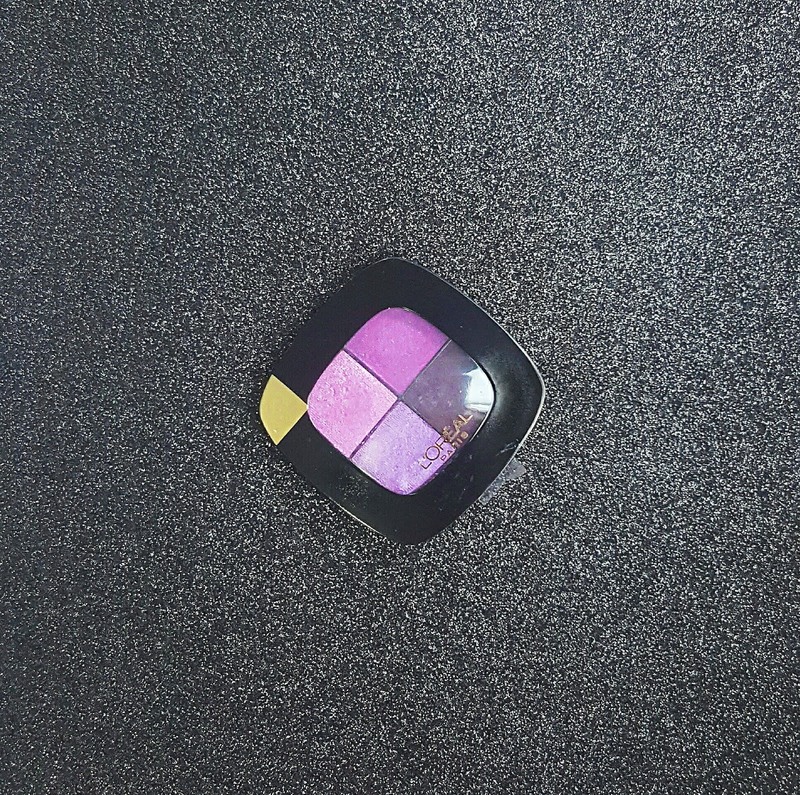 Here are the description and claims that L'Oreal provides for us on their website: "Create your color obsession with L'Oréal Paris Colour Riche® Pocket Palette, our first multi-color, multi-finish eyeshadow quad. Create sophisticated looks and make your color statement with specially curated shade families and finishes that range from shimmery to matte. Blends smoothly for easy application." For a softer, lighter application, use a fluffy, non-dense brush. For more intense pigmentation, such as in the crease or on the lid, it is best to work with stiffer synthetic brushes. Also, lid shades work best when applied wet/over a sticky base for optimal color payoff. On initial application, all of the eyeshadows seem lightly pigmented, but they are very buildable. This will be good for the beginner that is afraid of going overboard, especially will such bold shades. 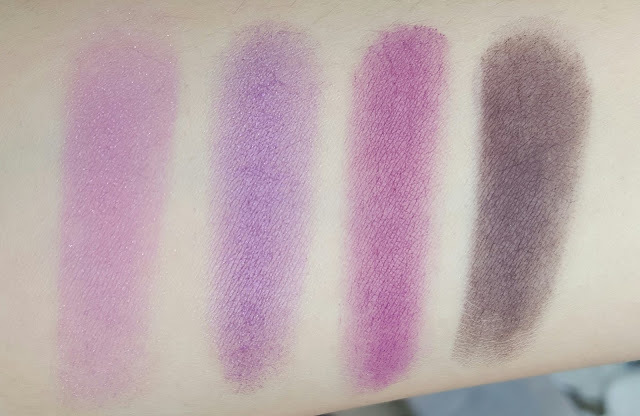 I found that the shimmery shades were not as impressive as the mattes, especially the lightest one (top left corner) as they weren't as shimmery or opaque once applied to the eyes. The combination of applying them wet over a sticky base, however, improves their quality tenfold. The eyeshadows lasted all day on me without any fading or transfer, but I should note that after eight hours of wear, my eyelids had a really bad reaction possibly to the pigment in the purple shadows. Though this is a very common occurrence for those with sensitive eyes and may not be a concern for all, it is important in case this applies to you. The reason this palette has received so many poor ratings is probably for the exact reason shown above. 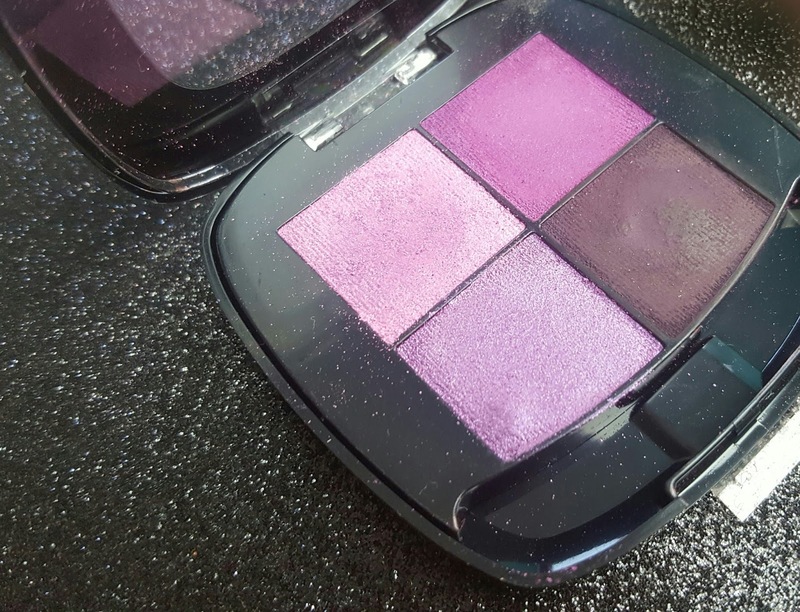 Those consumers that enjoy a softer romantic vibe to their makeup will find no issues with the palette, but for those of us beauty addicts that enjoy intense color payoff, you may be disappointed that these palettes take a little more work and finesse. I don't have an issue taking a little more time with my eyeshadow, but that is just purely personal preference. I want to make it clear that there's nothing wrong with the quality of the eyeshadows themselves. In fact, the soft, delicate textures of these powders are very reminiscent to those eyeshadows found in the Lancome palettes. This comes as no surprise as L'Oreal owns Lancome. I believe L'Oreal's intentions were to introduce a feeling of luxury, which would make them stand apart amongst the multitude of drugstore brands. If you're in the market for a travel-friendly palette, I do highly recommend the 'Violet Amour' shade for purple lovers or anyone wishing to branch out and introduce a little bit of color into their routine.